At One helps athletes change the way they think about sports nutrition, so they have the right fuel and energy to push through their limits and recover properly. made with 100% natural ingredients At One Real Food Energy Bars provide all the nutrition and energy you need to power and sustain your training, marathon, triathlon, hike, ski, run or even just a hectic schedule! 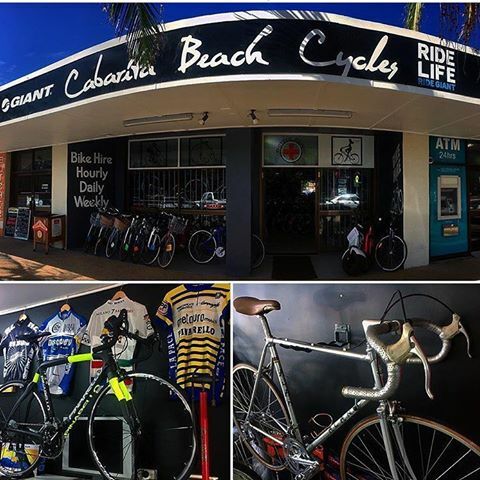 Jeff Harris, proprietor of Cabarita Beach Cycles has been passionate about cycling for over 30 years and can offer sound advice on every aspect of your cycling needs.From servicing your existing equipment, to new fit outs exactly appropriate for your budget, Jeff and his team are the people to talk to. Body Balance Nutrition is a local health and sport nutrition service on the NSW North Coast.